The other day I was stocking up on berries, my summer snack obsession, and admiring the blackberries. Such an unusual but beautiful fruit and I've always loved the color. I was turning over potential recipes in my head when I remembered the Bramble. 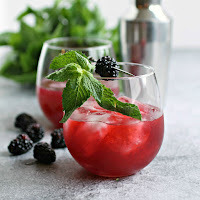 It's a sweet gin based drink that's typically made with blackberry liqueur but I always prefer to use fresh fruit anyway. So the blackberries came home with me along with a fragrant bouquet of fresh mint. And before long I was sipping this stunning drink and making mental plans to buy more blackberries. Cheers! 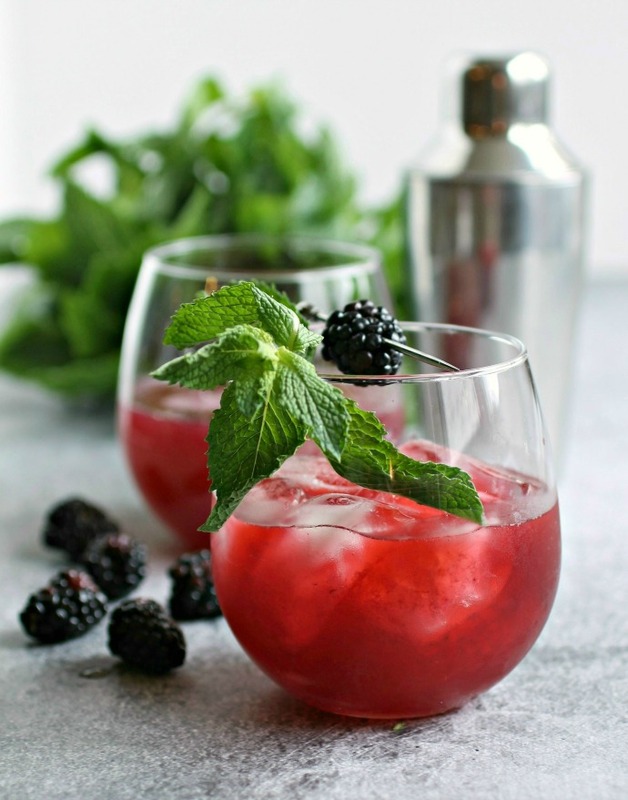 Add the blackberries, mint and simple syrup to a cocktail shaker. Muddle thoroughly using a muddler or the back of a wooden spoon. Add the gin and lemon juice, fill with ice and shake well to further break up the berries. Strain into a chilled cocktail glass and garnish with an additional sprig of mint and blackberry, if desired. Do you deliver? I sure hope so. This boozy beverage is gorgeous. Looks great, does the fruit really shine through with this one though? My experience using fresh berries always tends to look better than it tastes, particularly if I use a stronger spirit it tends to hide the flavor. Hi Kyle - I know what you mean! In this case I experimented quite a bit with amounts of berries vs. other ingredients until I was happy with the balance. If you try it, let me know what you thought.